Book News: New Reviews and More! New reviews for my teenage memoir Off Balanced continue to emerge at a steady pace. Today I wish to share reviews from Disability Horizons and Easter Seals Crossroads. Disability Horizons’ vision statement reads “To create a positive, interesting and useful disability related magazine with articles and resources to help people with disabilities achieve whatever they wish.” Easter Seals Crossroads provides various helpful services to individuals with disabilities. Before I provide links to both reviews I wanted to share a couple sentences from the Disability Horizons’ review written by Sarah Ismail. Sarah does an excellent job summarizing Off Balanced with the following. I hope you take the time to read the full review “Book Review: Off Balanced by Zachary Fenell” as well as the Easter Seals Crossroads’ Off Balanced review written by Sara Croft. Don’t just trust the reviews though. Form you own opinions by previewing Off Balanced. For those who already read my book (especially those who liked it ;)) share your thoughts by writing a customer review on either the Amazon or Nook websites. More reviews remain lined up so keep an eye out on those in the coming weeks. Additionally, this past week Rob Pritts interviewed me about Off Balanced for his ABLE PATHWAYS podcast. We discussed some interesting stuff such as dating with a disability and empowering individuals with handicaps. The interview should go live a week from today. When posted look for the link here or from my Twitter account (@zacharyfenell). In the meantime visit the ABLE PATHWAYS website and listen to some archived shows. Guitarist and singer Chris Hendricks fronts the appropriately named Chris Hendricks Band (CHB). Hendricks stands out from other front men because he happens to have cerebral palsy. Early on in his life doctors said Chris may never walk. Thanks in part to countless surgeries the musician now walks on and off stages wherever CHB finds gigs. Hendricks and his band’s reach expands past North Carolina, their home state. In fact CHB recently opened for Andy McKee and Eric Johnson at House of Blues in Los Angeles, CA! Similar to previous “Personality Profile” subjects here at Off Balanced, I came across Chris Hendricks through my “cerebral palsy” Google Alerts email. Tammy Grubb’s News Observer article “Singer Chris Hendricks is Living His Dream” back from June 2010 captured my attention and once I heard the singer’s powerful vocals I became hooked. At the time I still wrote for Disaboom so I sent an interview inquiry to CHB manager (and bassist) Aaron Gallagher. Sadly by the time we scheduled and followed through with the interview a change in management at Disaboom left me no longer affiliated with the disability orientated website. I did however review the group’s debut EP Noise for Yahoo! Voices (read here). CHB debut with the EP Noise in 2010. In addition to Chris’s powerful voice, the band’s genuine kindness shines. Last year when planning to go visit a friend in North Carolina I contacted Aaron to see if CHB had any concerts coming up. I really wanted to see Chris Hendricks Band live. They didn’t have any upcoming shows but Aaron offered me an open invitation to come down with my friends and watch the band practice. Unfortunately given the five hour commute between Hot Springs, NC (where I visited) and Durham, NC (where CHB calls home) the situation didn’t work out. Over the past six months I’ve kept tabs on Chris Hendricks Band via Facebook (like them here) and I’m excited to see the group gain momentum. 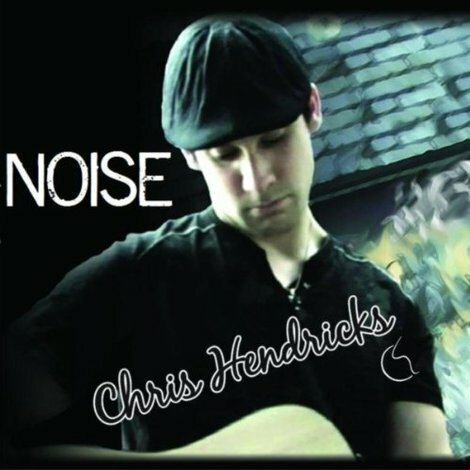 I strongly recommend you visit chrishendricksband.com, search “Chris Hendricks Band” on Youtube, or best yet buy the Noise EP on i-Tunes so you can experience CHB for yourself. Off Balanced continues to garner attention in the blogosphere. 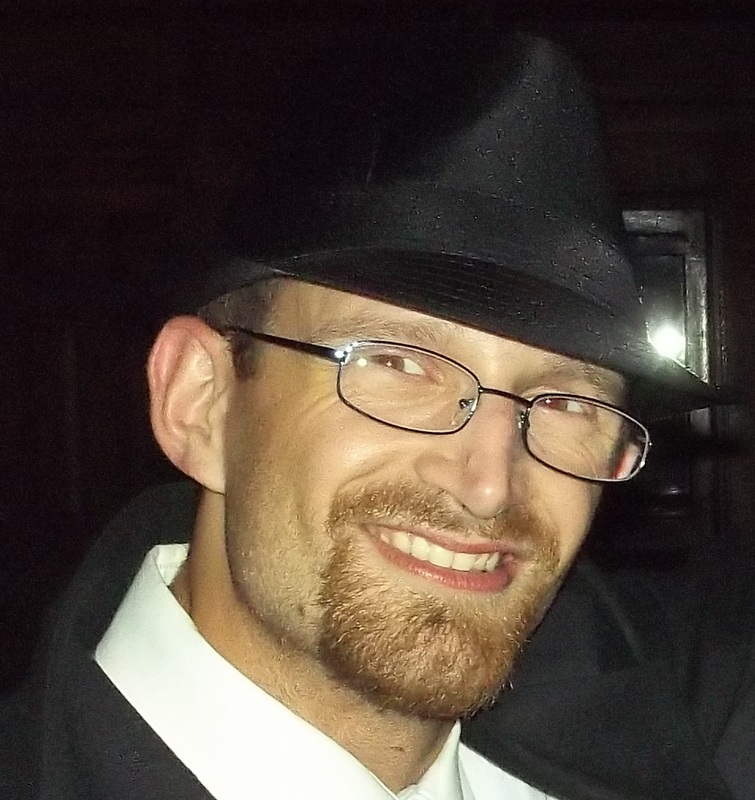 This past week I provided Rudy’s Way a guest blog post. The post “You are Not Alone” speaks towards my intentions with Off Balanced. Please take a minute to read the post. Seriously, I advise reading the post because what I discussed on Rudy’s Way will prove relevant moving forward with today’s post. Emma Crees recently reviewed Off Balanced for her blog A Writer in a Wheelchair. Her review marks the first not so glorious feedback for my book. I wish to take this opportunity and address some criticisms Emma makes. For starters let us look at my book’s synopsis. Off Balanced dives into the thoughts of a teenager with the neurological disability cerebral palsy. Just like how CP can throw one off balance physically, the condition can create mental unsteadiness. Learn how poor balance, muscle tightness, and other cerebral palsy symptoms influence the emotional teenage mindset. From coping with the disability and relating to classmates to building self-confidence and making friends discover first hand insight about teenage life with CP. For teens troubled by cerebral palsy Off Balanced lets you know you are not alone. Additionally the memoir demonstrates to able-bodied youths how big their smallest actions can be. “I’m also not sure this is the best summary as it focuses on the CP aspects and to me it (Off Balanced) read more as being about life than about CP” Emma writes in her review. I guess we can chalk this up to different perceptions as I feel the words within the synopsis, such as “cerebral palsy symptoms influence the emotional teenage mindset” and “teenage life with CP” indicates the memoir transcends the physical disability and discusses how cerebral palsy affected me socially. On a related note I wish to respond to Emma’s comment “Treatments he had are mentioned in passing only which intrigued me as they would have been a big part of any memoir I wrote about the impact of CP on life.” Again, my book’s focus remained on how having cerebral palsy affected me socially so naturally I only mention treatments to the extent of which they held social influence. Overall I believe the following sentence from Emma can help identify our differences “It (Off Balanced) would be a good starting point for anyone wanting to learn about being disabled.” I didn’t aim to teach with Off Balanced but rather, as discussed in my Rudy’s Way guest post, provide a book others with disabilities can relate to. 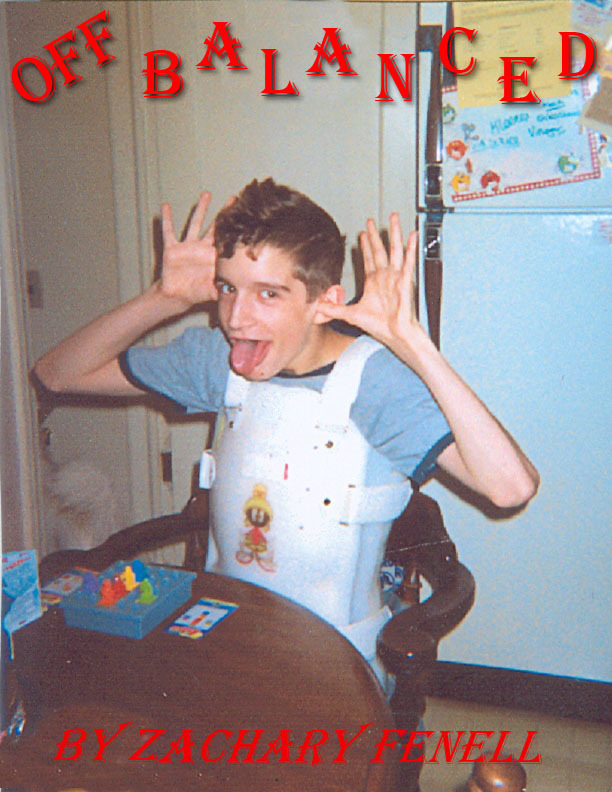 Off Balanced concentrates on the social aspect of having cerebral palsy. Moving forward, my book left Emma bringing up a debate us writers encounter “What is a book? What’s a novel? How many words or pages before you can say that’s what you’ve written?” This gets brought up because my memoir can seem short. Emma admits no set standard exists and she likes that. Personally I draw the line at a 20,000-word minimum because while researching different publishers (before deciding on the self-publishing route) one of the publishers noted to me they need 20,000 words to create a decent book. Off Balanced weighs in at over 29,000 words so hopefully that gives everyone a solid measuring stick. Finally, I found the following sentences from Emma’s review alarming. “In a few places however the writing in general needed a bit of tightening up. I had to read a couple of sentences a few times to make sense of them as they felt wrong to me.” As a writer you always strive to write in a clear, concise fashion. Without specific examples I can’t defend myself on this charge. Maybe cultural differences between the U.S. and UK caused the problems, and then again maybe not. What I can do is invite you to read the free Off Balanced preview available on my website (zacharyfenell.com) and request you judge my writing on your own. Did you enjoy the post? I sure hope so. Personally I greatly appreciated Sarah’s words (below) from the post’s opening and conclusion and I wish to take this time to publicly thank Sarah for the opportunity to promote my book on Walk Daniel Walk Daniel. See how Neil expands on this and read his entire Off Balanced review. Overall Matheson calls Off Balanced “a great read for all ages.” I thank Neil for his praise and furthermore for supporting my disability awareness Twitter efforts.